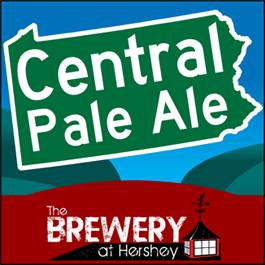 A refreshing American pale ale made with Centennial hops and Pennsylvania grown and malted barley from Deer Creek Malthouse. 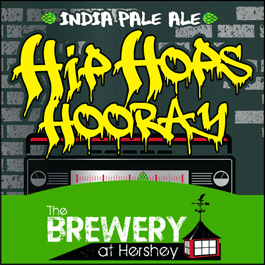 This American-style IPA features loads of hops from the Pacific Northwest added late in the boil and through dry-hopping to bring out juicy citrus flavors and piney floral aromas. 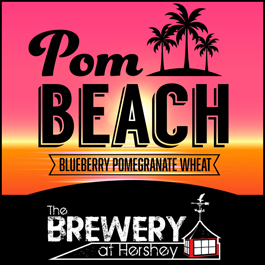 A clean, crisp American wheat beer fermented with real blueberry and pomegranate juice. A pale, spicy, fruity, refreshing wheat-based ale. 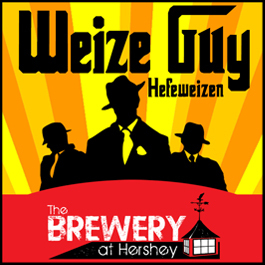 This German style will feature banana and clove flavors from the yeast. It is served delightfully cloudy and is the ultimate thirst-quencher on hot days. M.I.L.F., the delicious Microbrew I’d Love to Finish. Chocolate malt, milk chocolate and cacao nibs contribute the delicate chocolate flavors and aromas to this Northern English-style brown ale. Have you been naughty… or spiced? N&S is a hefty winter warmer fortified with hearty seasonal spices such as cinnamon, nutmeg, cloves, ginger, and orange zest. The malty strong “Wee Heavy” Scottish Ale base balances the spice and warms the belly on cold Pennsylvania evenings. 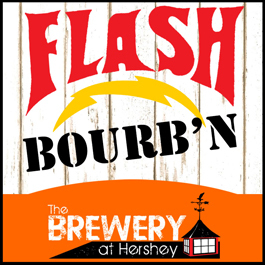 Flash Gourd’n pumpkin-spiced fest ale aged for a year (8/30/17 – 9/17/18) in Smooth Ambler (WV) bourbon barrels. 2018 release year. Savor of the universe! 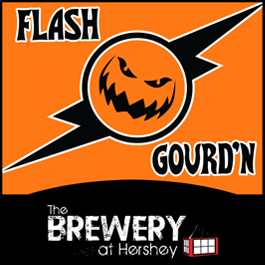 Flash Gourd’n is a pumpkin spiced fall seasonal that uses a bready Pilsner/Vienna/Munich Oktoberfest base. This India Pale juicebomb is inspired by the citrusy, aromatic Vermont IPAs that we have grown to love. 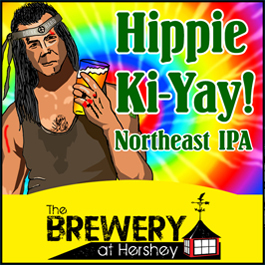 Unfiltered, unapologetically hazy, and dry-hopped with an obscene amount of Vic Secret hops, the 2017 version showcases Vic’s succulent pineapple notes. 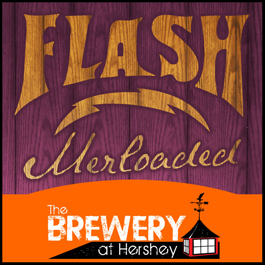 Our pumpkin-spiced fest ale, Flash Gourd’n, aged for a year in merlot barrels. The perfect combo to celebrate our World-Famous Release Party! Brewed in 2017, released in 2018.